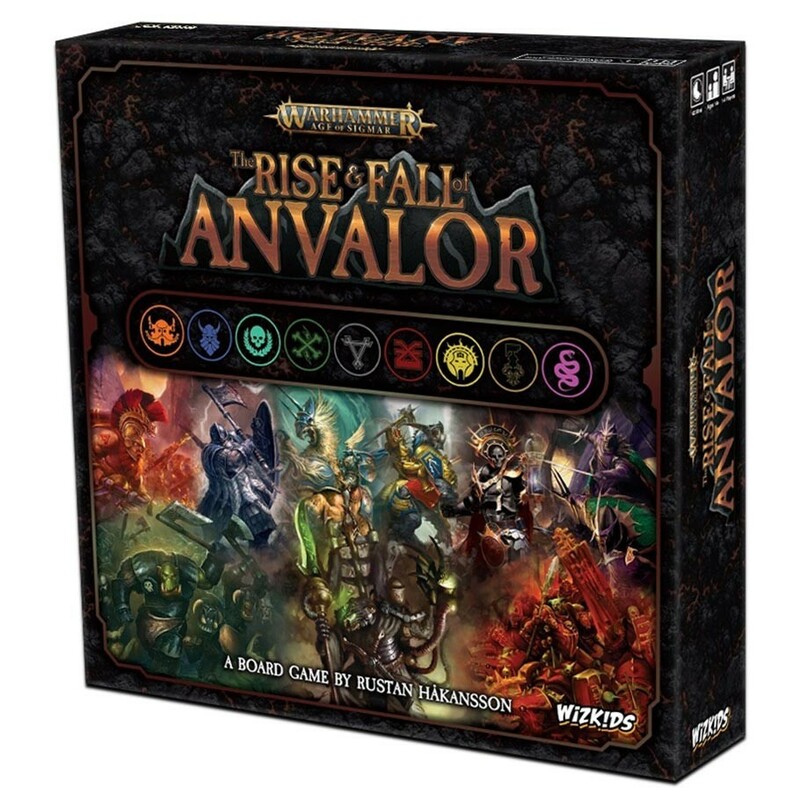 ACD Distribution Newsline: The Rise & Fall of Anvalor! New from WizKids! The Rise & Fall of Anvalor! New from WizKids! With over 180 tiles in total, 9 different factions (6 player factions, 3 enemy factions), and 4 play variants (beyond the standard game) there's an enormous amount of game play content! In the region of Aqshy, even if your uneasy allies place their resources in the perfect place, your mutual enemies can be strong and unpredictable. You'll build resources to block your allies from developing their strongest options, and they'll return the favor. They'll weaken enemies and you'll try to deliver the killing blow. Each turn will provide many choices, so you'll get to pivot as you learn the strategies best suited to your common enemy as well as your allies. One thing's for certain - whether Anvalor survives the siege on it or not, things are sure to get heated! New Yu-Gi-Oh! releases from Konami! The Neverland Rescue! New from Letiman Games! New Dice Sets from Q-Workshop! New January releases from Surfin' Meeple! Precious Cargo! New from Winning Moves Games! New Releases from Paizo—Coming this January! Raccoon Tycoon! New from Forbidden Games! New Battletech releases from Catalyst Game Labs! New accessories from Legion Supplies! Cruel Seas! New from Warlord Games! Open Legend—New from Seventh Sphere! Smash City! New from WizKids! Prince Valiant—New from Nocturnal Media! Edge of Humanity! New from Golden Egg Games! TOTY 2019 Game of the Year Finalists! Unity RPG! New from Modiphius!